Janae Copelin, her daughter, and a friend were driving in Chillicothe, Missouri when they came across a farmer burning his field. They stopped so that Copelin can take a picture. They didn't expect what happened next. 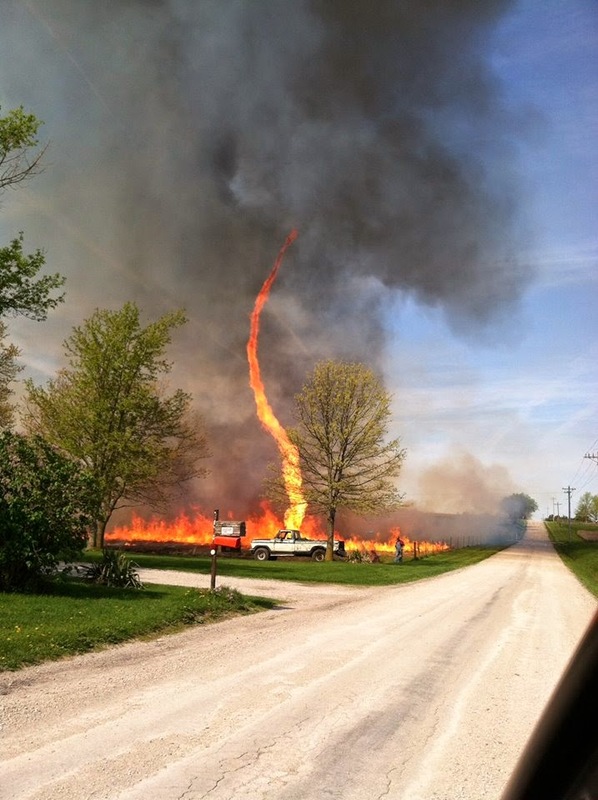 In Copelin's words, she was trying to take a picture when the "wind whipped up this fire twister". The fire funnel that reached up several meters up to the sky was captured on Copelin's camera. She posted the photo on Instagram and Facebook which quickly went viral online. A fire tornado is a natural phenomenon that occurs when fire combines with certain air currents and temperature. The result will be whirls of fire that rises up to the sky the way a tornado does. It's also referred to with other names like fire devil, red devil, and firenado.